Successfully automating the data management process requires the efficient organization of vast amounts of thirdparty data. The data may be received at different times and in different formats, and is sometimes incomplete. Interpreting the data correctly therefore requires a system capable of dealing with these variables. SAGE has established a wide range of connections to custodians, and data providers and facilitates core-banking systems integration through its open API. This allows us streamline and automate your middle and back office with advanced connections from numerous sources and to present data in a clean and coherent manner. Our team of finance and technology experts connects you to your counterparties and market infrastructures worldwide, enabling standardized, straight-through processing from settlement to corporate actions, saving costs and reducing risks. 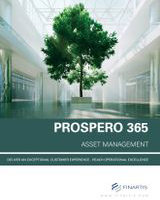 Saving time and limiting operational risk is a fundamental goal of Prospero. 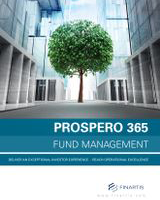 Prospero provides comprehensive multi-currency, multi-asset class and multi-market support for any transaction using automatic trade transmission reconciliation between your back office and custodians/brokers. 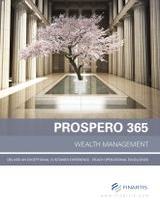 With Prospero, managing and manipulating data to meet the requirements of the custodian’s business and software has never been so effortless. Its intuitive interface processes daily movements (securities, cash and contracts) and positions to ensure that the system is 100% reconciled as soon as processing has been executed whilst simultaneously recalculating the fees collected by the counterparties to verify their accuracy. SAGE has developed deep knowledge and expertise of global custodial services and maintains strategic relationships with the most commonly used custody and data providers. 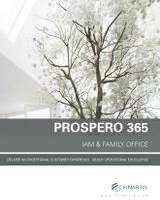 In this way, Prospero provided standardized connectivity using ISO messaging standards and SWIFT connectivity as well as ad-hoc formats. Prospero automatically consolidates the information you need from thousands of custodians, funds and specific connections for automatic reconciliation and posting. With all the data now readily available, you can now complete the process such as trade settlement and deal confirmation, process transactions and position reconciliations more efficiently than ever before, freeing up staff to focus on higher value-added processes.